We’re on our annual Holiday. We left freezing cold The Netherlands for the Swiss Alps. 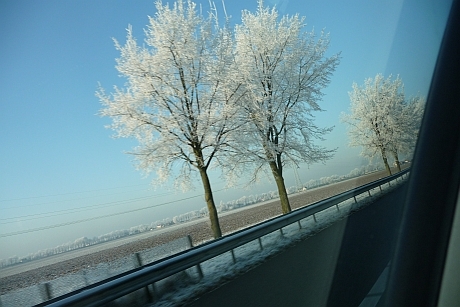 Along the road we passed some areas where the fog had been frozen onto the trees. An amazing view. What type of tree is that? Or is it the snow? It’s gorgeous.